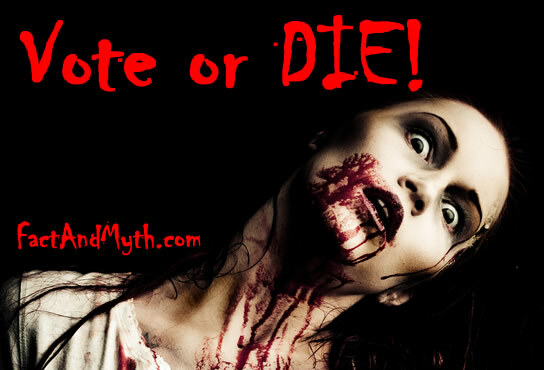 Myth: Dead People are Voting. Massive Fraud is happening! Fact: The vast majority of these are clerical errors, or instances of citizens who have died since voting. Other accusations of vote fraud turn out to be similarly innocuous. Nevertheless, the initial reports of “dead voters” are rarely followed up on when corrections are made, as they don’t grab the same level of attention. An analysis by Newsday recently found that about 6,100 deceased people were still registered to vote in Nassau County (which has roughly 700,000 registered voters). As expected, many opinion writers began marching to the drum beat of “voter fraud.” The truth however, is blander than fiction. What this has amounted to is 270 “votes by deceased people” since 2000 (spread across 20 elections). In other words, this has amounted to an average of just over 13 “dead” votes per election. In a county with 700,000 registered voters, an average of 13 doesn’t have the same controversial appeal as the headlines suggest. It’s important to keep in mind that despite the unfortunate identification error, these are real votes with mistaken identify (not “additional” votes under the name of a deceased). The mistake was in the identification of the person who voted. Nevertheless, the blogosphere is ripe with accusations of voter identification fraud as if these votes by deceased represent “additional” votes that may have changed actual elections. Despite the fairly straightforward explanation, this will likely be added to the quiver of “examples of voter fraud” moving forward,by those who wish to impose stricter voting ID requirements. The fact that stricter voting standards would disproportionately affect minorities and low income earners (both of which are more likely to vote Democrat) combined with the fact these stricter standards are generally favored by Republicans has not gone unnoticed. In fact, Republican politicians have essentially admitted to this goal. Having said this, it’s interesting that the GOP hasn’t taken the such an aggressive stance on open issues with electronic voting machines which do appear to leave us with many unanswered questions. Given their lack of focus on this, and strong focus on these cases of voter fraud that have simple explanations creates further suspicion that the push for stricter ID requirements is purely political and has nothing to do with concerns over potential voter fraud. THE VOTER-FRAUD MYTH – The man who has stoked fear about impostors at the polls.